Aluminum Truss Display Kit C26-104. 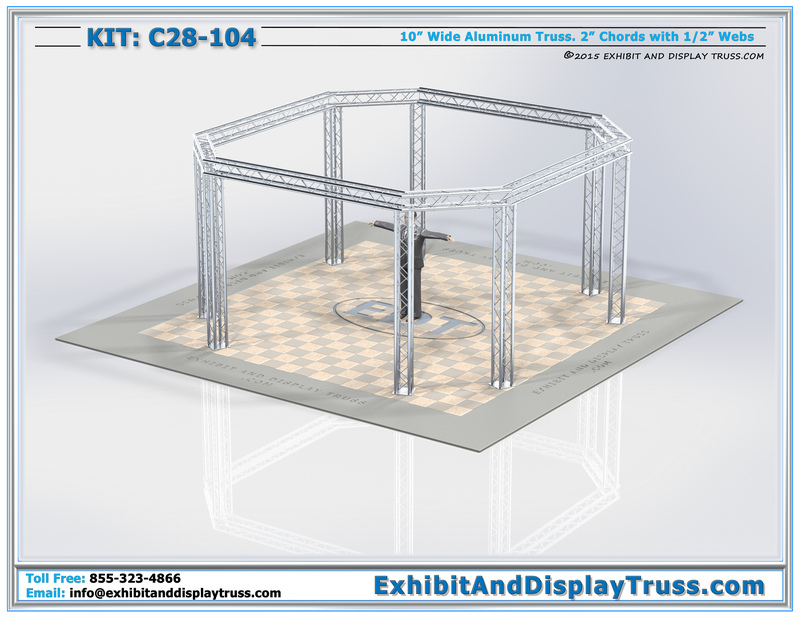 This aluminum truss kit fits a 20′ x 20′ trade show booth area. 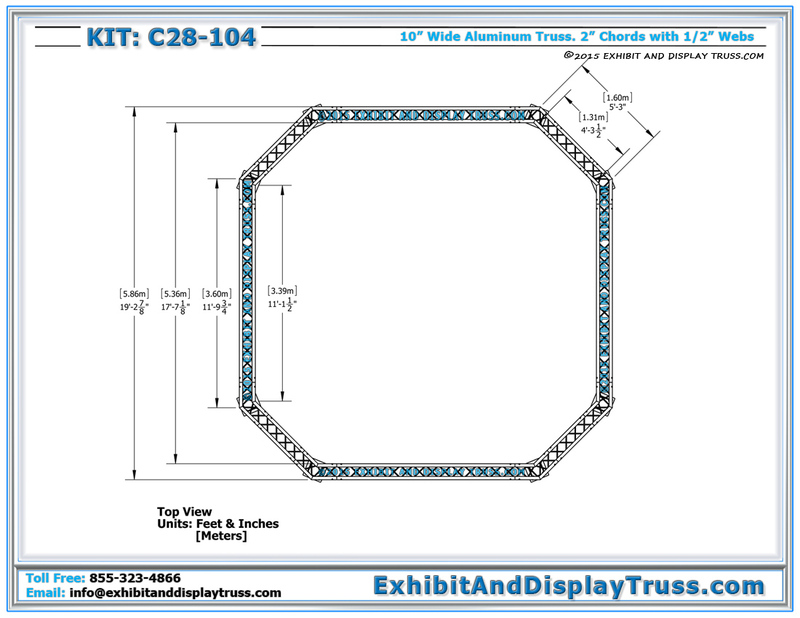 This size of exhibit booths allows a lot of space for for more company banners, trade show accessories, and LCD TVs and monitor stands to be mounted to help display and showcase your product. Designed for the Shot Show in Las Vegas, Nevada, the multiple sides of the C28-104 also offer more view points for passersby to view your products. The C28-104 is one our best reviewed exhibitor displays and provides plenty of versatility for showcasing your product. Light Design Systems has a wide range of portable trade show displays and display booths for sale. If you can’t find what you are looking for, we also offer custom display booth design. 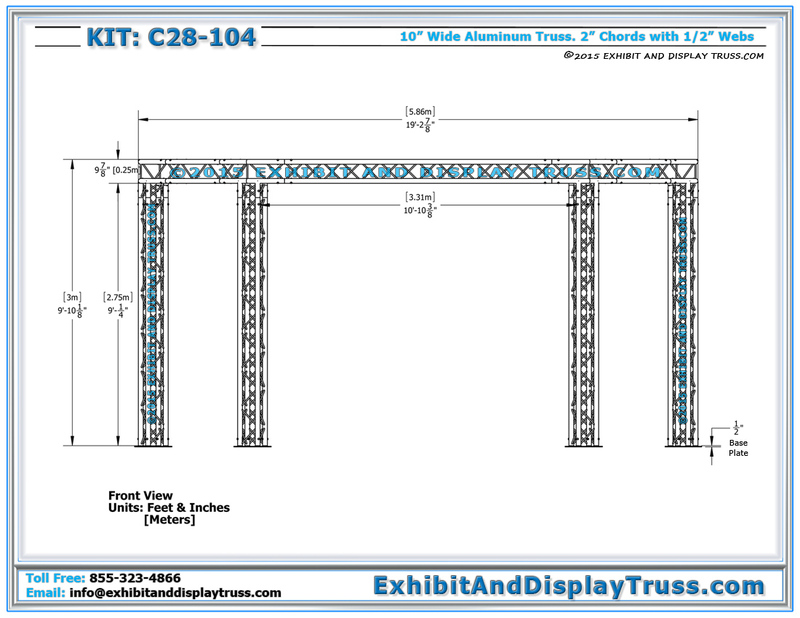 Light Design Systems offers a wide variety of truss parts and truss products. 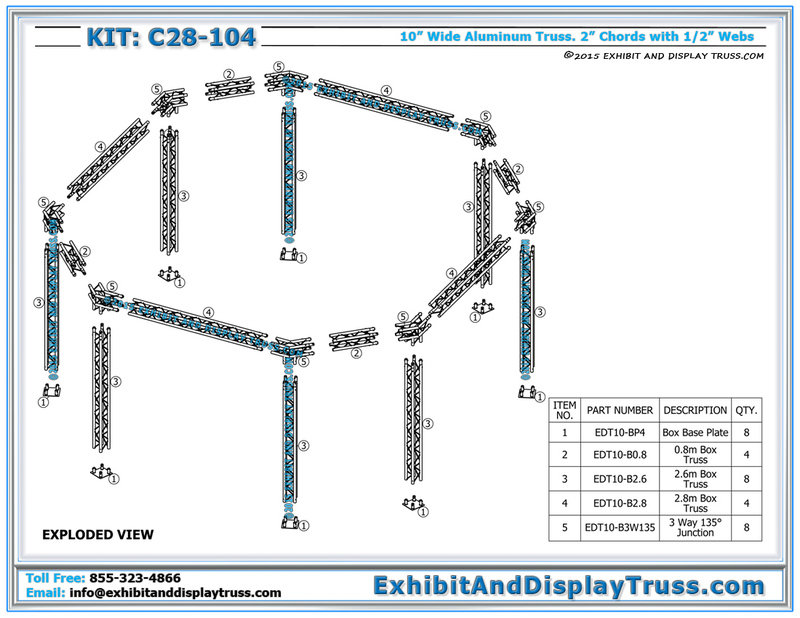 Exhibit and Display Truss stocks standard parts and exhibit booths and also has the ability to build custom parts and exhibit booths if your project requires unique configurations. If you cant find what you are looking for out of our standard systems or parts, do not hesitate to ask for a custom length or size. Truss components are constructed of square, triangular or flat pieces. All of our truss structures are designed for ease of assembly and available in a number of designs and sizes. Our truss systems are constructed of durable, high-strength aluminum and steel for supporting trade show accessories, banner frames and sign frames, lighting display truss and other accessories.